We are glad to announce that our software is compatible with MacOS 10.14 “Mojave”. Although we usually do not recommend upgrading your production machine until Apple’s system is fully debugged and compatible with your host applications and various plug-ins, you should not have major problems using our software with this new version today, with a few limitations in dark mode (see below for more details). A quick update regarding the compatibility of our software with MacOS High Sierra released by Apple this week: so far, so good! 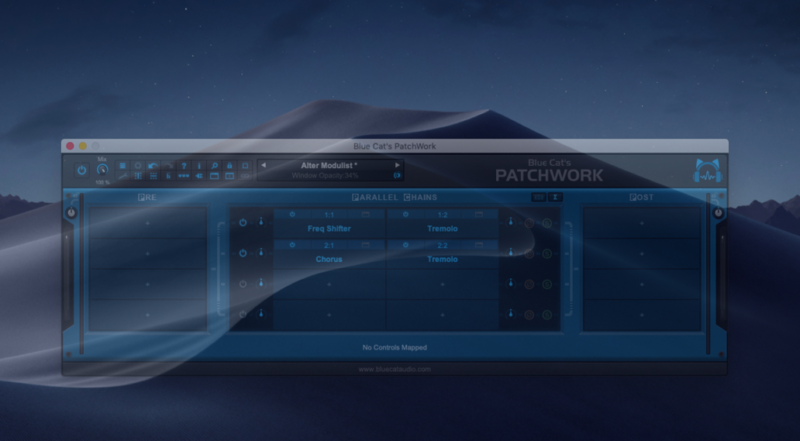 If you are using multiple machines or if you want to transfer your plug-ins quickly to a new PC without having to register your all your Blue Cat Audio plug-ins again and setup your preferences, here is the solution. Note: this transfer step should be done BEFORE installing the plug-ins using the installers downloaded from your private download page. 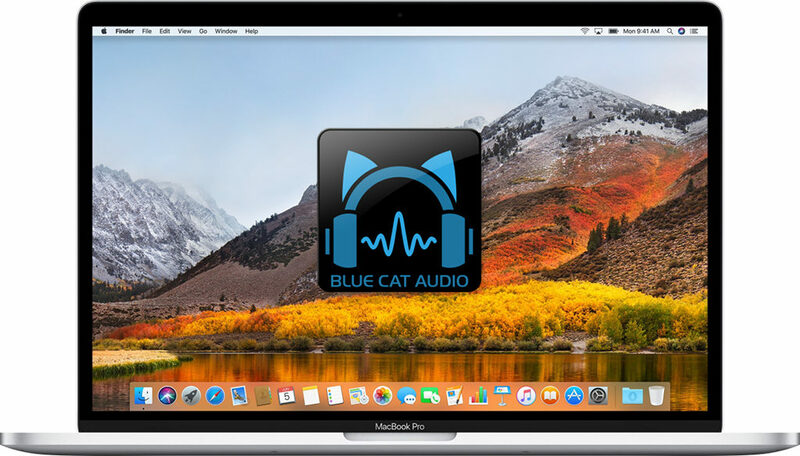 To transfer all licenses and preferences to your new machine, simply copy and paste the Blue Cat Audio folder from the source machine to the destination one (in the user AppData/Roaming directory). “Voilà”! Just install the plug-ins on the new machine and use them without having to register them individually! 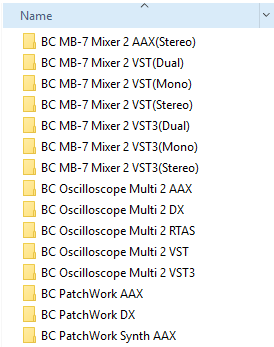 Note: If you want to select just a few plug-ins, you can copy and paste each plug-in directory, one by one. In this case, you will notice that preferences are stored separately for each plug-in format (VST, AAX, RTAS or AU) in a directory named “BC [PLUGIN NAME] [PLUGIN FORMAT]”, while (for most plug-ins) a single license file (.lic) is shared by all formats in a directory named Blue Cat’s [PLUGIN NAME]. This tutorial also applies to multiple users on a single machine: you can transfer preferences and licenses to a different username on the same machine by moving the same files. Using a Mac? Check out this plug-in transfer tutorial instead! 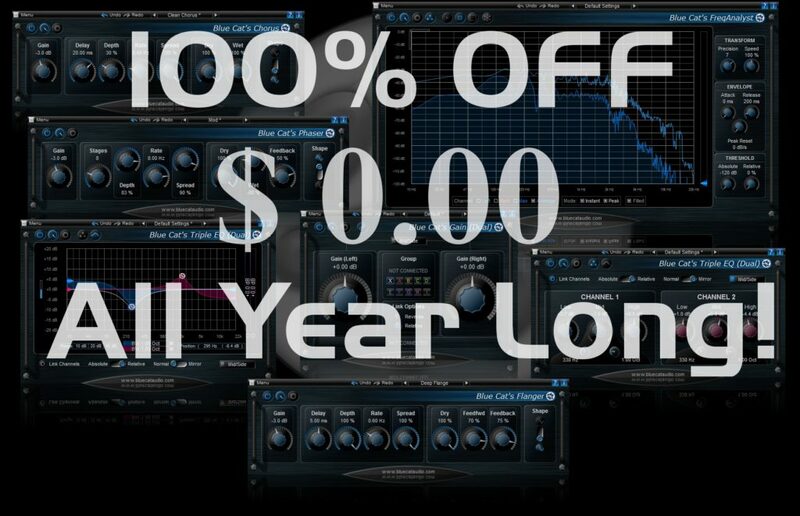 Blue Cat’s Freeware Pack is entirely free, all year long! No registration required, no limitation of any kind. Enjoy! Windows: Are Your Plug-Ins Infected by A Virus? This is the kind of scary message that will usually prevent you from installing downloaded software, isn’t it? Free Plug-Ins for Commercial Use? 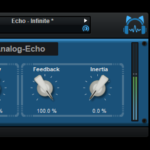 We are often asked this question: “May I use your free plug-ins for my commercial audio project?”. So we thought it was worth clarifying: the answer is YES, do use them! These plug-ins are fully free, with no limitation of any kind (just don’t claim that you have built them, and don’t sell them…). Also, they do not require any account creation, email registration or newsletter subscription: they are simply FREE, that’s it :-). Did you know that there are two versions of Blue Cat’s PatchWork? Did you know that Blue Cat’s Protector 0dB brickwall limiter can be used to set a maximum ceiling level? In addition to protecting your ears and monitors, this will also ensure that the chosen peak level is never exceeded.